One of the most important parts of our bodies is also one of the smallest ones. The thyroid, butterfly-shaped gland on the front of the neck below the Adam’s apple, releases hormones that have a huge impact on metabolism, among other processes. About 20 million Americans have some form of thyroid disease, according to American Thyroid Association estimates. More than 12 percent of Americans will develop a thyroid condition, and around 60 percent don’t know they have a problem. Most people will develop nodules as they age. But few of them are actually cancerous. 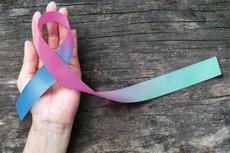 About 62,450 new cases of thyroid cancer – 49,350 in women, and 19,950 in men – will be diagnosed in the U.S. in 2016, according to the American Cancer Society’s most recent estimates. About 1,980 people will die. Still, the death rate from thyroid cancer has been fairly steady for decades, and remains very low compared with most other cancers. Malignant nodules have a very high cure rate because they grow very slowly, Dr. Jennifer Poehls from the University of Wisconsin School of Medicine and Public Health says. The more uncommon a type of thyroid cancer is, the less responsive it is to treatment. Anaplastic carcinoma, for example, is very aggressive and rapidly growing. That’s also why survival rates are around 7 percent, according to American Cancer Society.